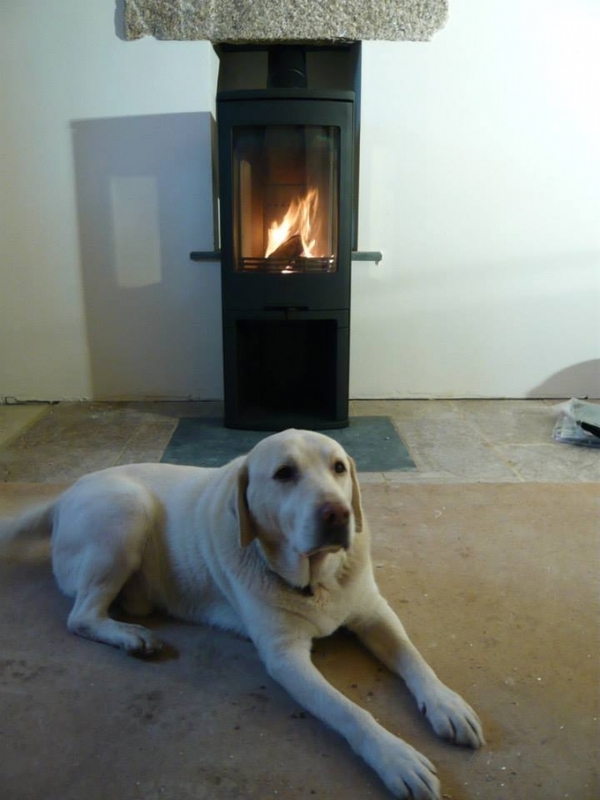 Contura 810 with dog wood burning stove installation from Kernow Fires. 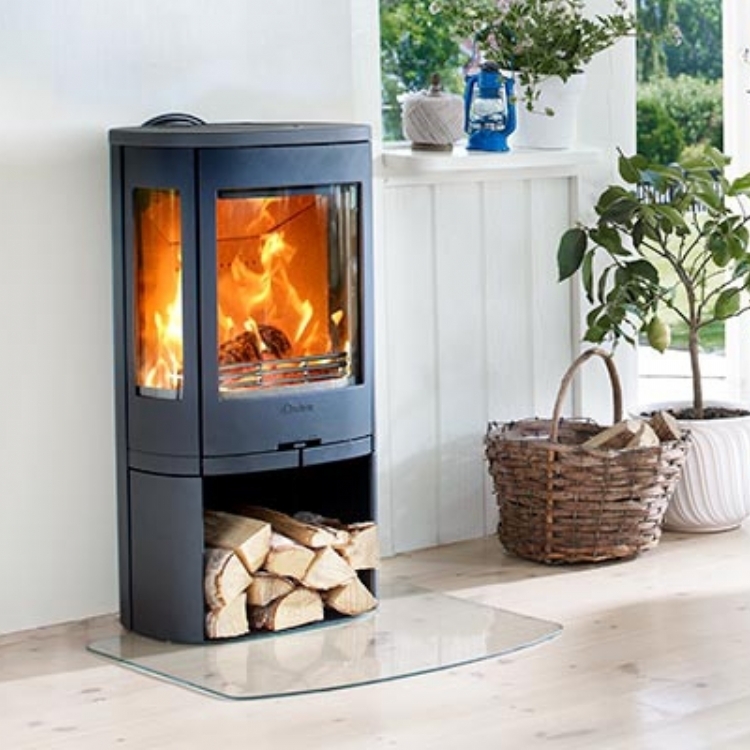 Customer Requirements: There is a raised opening for a fireplace but it isn't suitable for the kind of fire required. 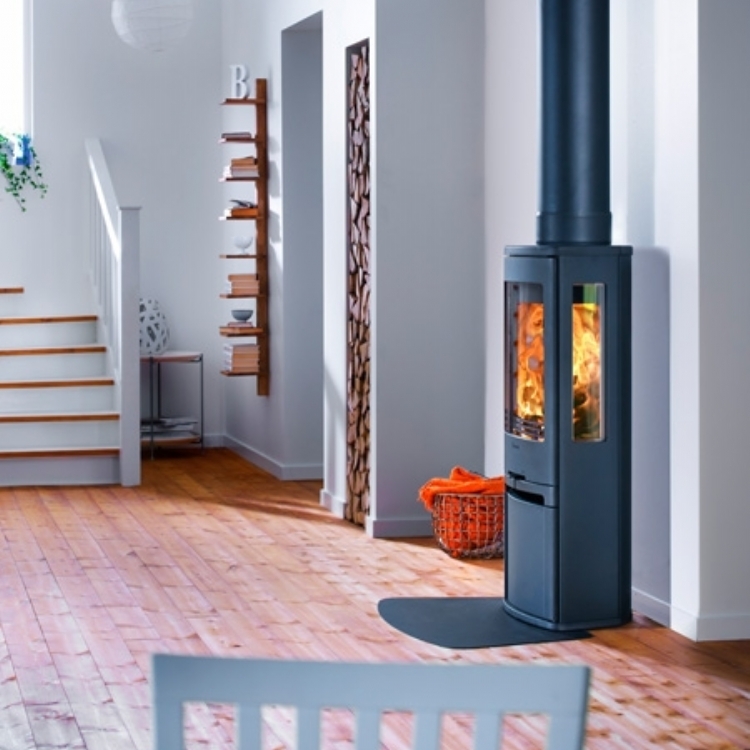 Normally we would open up a fireplace like this to make it wide enough to sit the fire into however on this occasion the customer wanted us to simply place the new fire in front of the opening and flue out of the back of the fire and up the chimney. 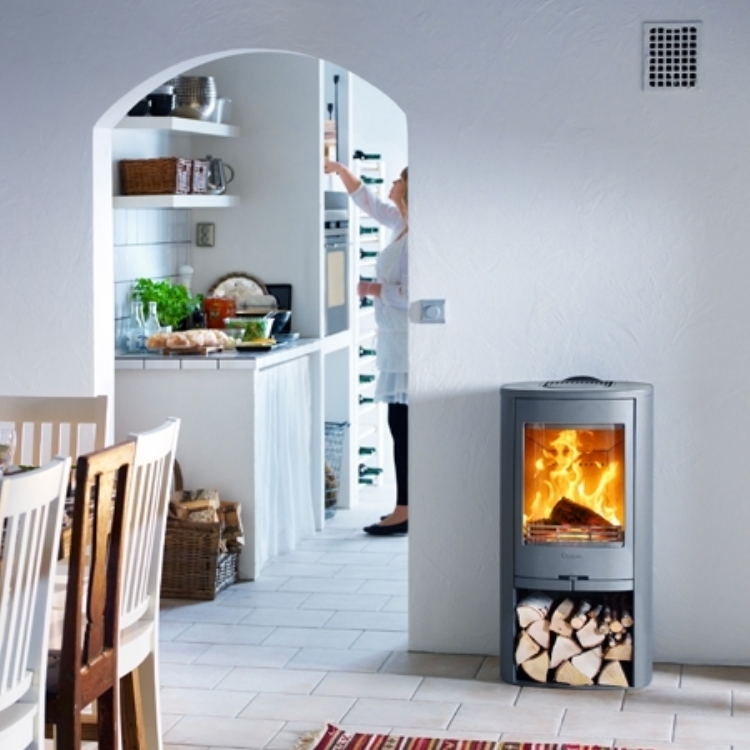 We had a hearth made, relined the chimney with a flexible liner and connected tot he rear of the stove.